The Hanukkah staple gets its due respect at the 9th Annual Latke Festival. Calling all holiday foodies! 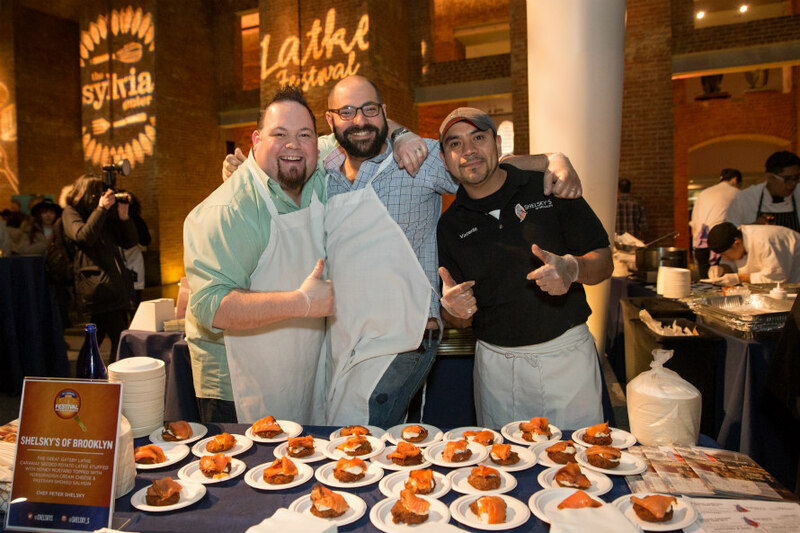 We have the inside scoop on one of the most delicious events this season: the 9th Annual Latke Festival, hosted by the Brooklyn Museum. Chefs from all of our favorite NYC restaurants will compete against one another, frying up their best makeovers of the chief Hanukkah dish. Last year’s official trophy went to a cranberry and juniper latke topped with smoked duck leg confit and spicy pickled cucumber, cooked up by Brooklyn’s own Benchmark. The people’s choice winner, the “Great Gatsby Latke” courtesy of Shelsky’s of Brooklyn, featured a honey mustard–stuffed, caraway-seeded potato pancake with horseradish cream cheese and pastrami smoked salmon. Who will win this year? That’s up to you. Try them all, along with a drink or two, and vote for your favorite. Don’t worry about calories tonight, because your noshing is for a good cause: Net profits benefit the Sylvia Center, a nonprofit dedicated to promoting healthy eating habits to children. Your Bubbe’s latkes are always number one, of course, but these haute renditions might give them a run for their money. Why You Should Go: To rethink the pedestrian potato pancake and enjoy tasty holiday food in a gorgeous space for a good cause. Get in touch with our experience advisers for tickets and then work up your appetite with our customized day on the town.